Ottawa Lifestyle Photographer :: It’s Pake Time! Every year for my birthday, my husband makes me a birthday cake. He’s been very kind not to laugh at my odd requests (like when I asked him to make a cake shaped like a cat head :P) and this year was no different. After watching an episode of Drop Dead Diva I got the idea of requesting a “pake”. 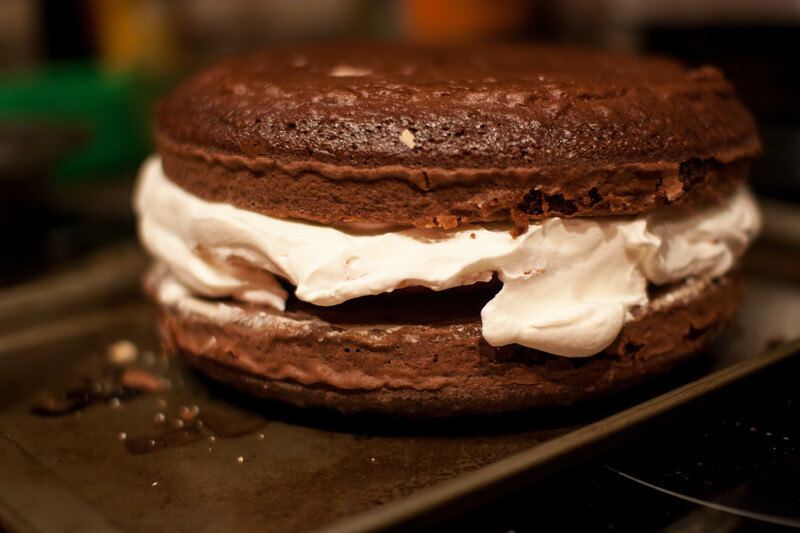 Everyone who knows me knows that I LOVE food…especially dessert. A pake to me would be the perfect bonding between two traditional desserts. It’s the best of both worlds – excellent for those that are indecisive! 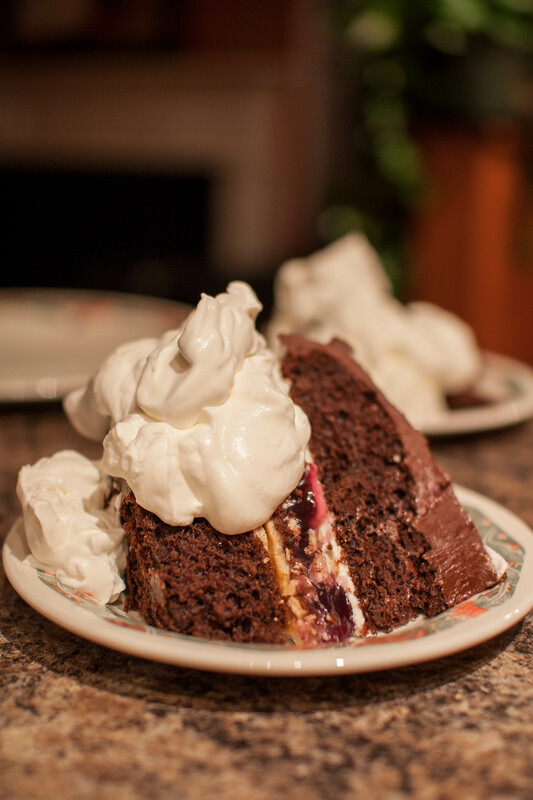 We originally wanted to do a black forest pake (chocolate cake with a cherry pie), but unfortunately, had to settle with chocolate cake and a blueberry pie. Due to time constraints, we decided to construct the pake with Betty Crocker chocolate cake batter and a pre-made pie from Walmart. 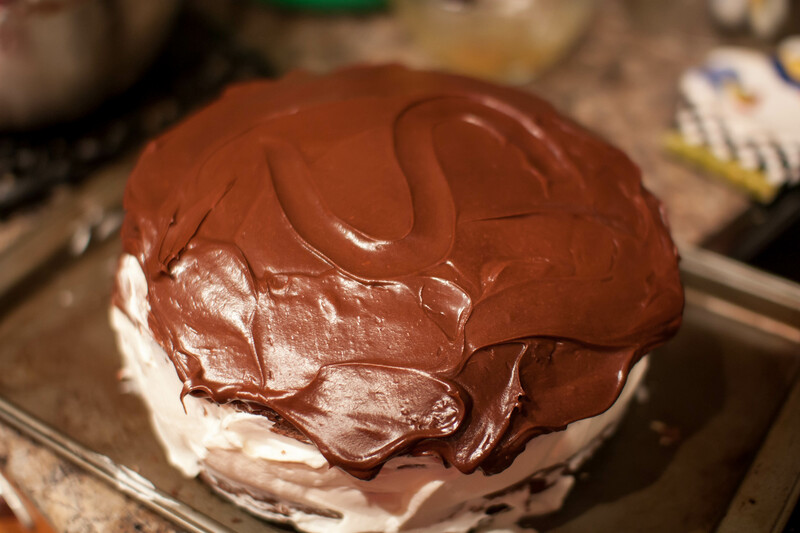 The pake was topped off with home-made whipped cream and Betty Crocker chocolate frosting. Below are photos to document the construction of the pake! 1) Separate construction material. Soon to be combined! 2) Making the whipped cream. 3) Assembly time! The key is to pile on the “cement”. Mmmm…tasty! 4) Pie has been successfully inserted. Kind of looks like a whoppie pie! 5) All done! We had a few problems icing the exterior. Not the cleanest looking cake, but it’s a tasty one.